CENTENNIAL, Colo., December 6, 2016 – Evolution Digital today announces it has launched its ACTS community involvement program, formalizing the company’s commitment to support organizations in the greater Denver area that deliver critical services in the areas of children and education, local poverty, women’s health and the environment. Sustainability – launch a responsible effort to improve the environment and demonstrate the company’s dedication to serving our planet. Evolution Digital kicks off the ACTS program by partnering with the Rocky Mountain Children’s Law Center (RMCLC), a non-profit legal organization that transforms the lives of abused, neglected and at-risk children through compassionate legal advocacy, clinical services, education and public policy reform. 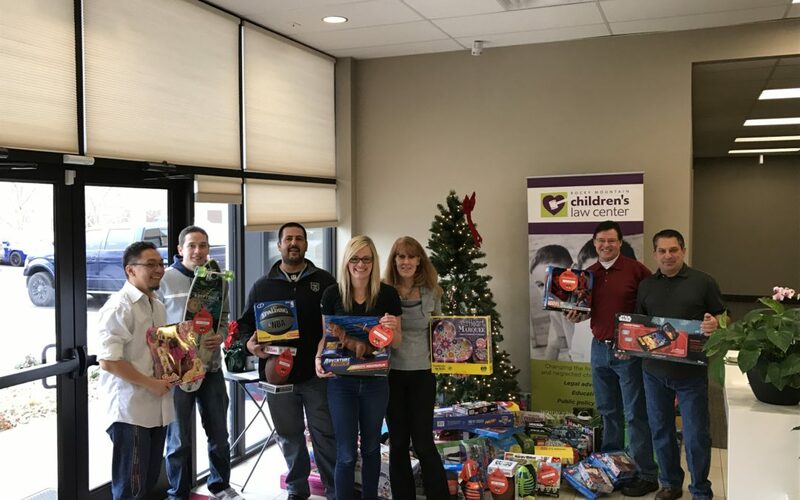 During the holiday season, employees participated in RMCLC’s “Elf Bash” program and donated and delivered gifts for local children and families in low-income communities. The company also currently partners with CASA Advocates for Children, which supports the needs of children in foster care, and with the Douglas/Elbert Task Force, a local non-profit organization serving the Douglas and Elbert County Colorado residents in need. Evolution Digital’s roster of ACTS partner organizations will continue to grow beginning January 2017. For more information and to check on updates, please visit www.evolutiondigital.com/community-involvement. Evolution Digital L.L.C. is a leading provider of integrated IP Hybrid devices and IP Video solutions for the global cable industry. Evolution Digital takes an aggressive approach to product innovation to embrace the way viewers are consuming video. It has quickly become an innovator in the era of OTT content and multi-stream households. Through its 2015 acquisition of i-Velozity, Evolution Digital’s eVUE-TV platform enables cable operators to cost-effectively deploy IP Video services including IP VOD, IP Linear, mobile and nDVR. Evolution Digital provides integrated and managed content delivery across all mobile devices in the home, includes smart phones and tablets, subject to the operator’s licensing agreements. Evolution Digital was recently named as one of Colorado’s fastest growing private companies by ColoradoBiz Magazine. Visit www.evolutiondigital.com.